Ella represents a good example of what anyone's teenage years are all about - a quest for self, love and determining what you want to do with your life. The movie does not idealize Bella, nor any of the other characters, on the contrary it lets you decide for yourself how you feel about it. 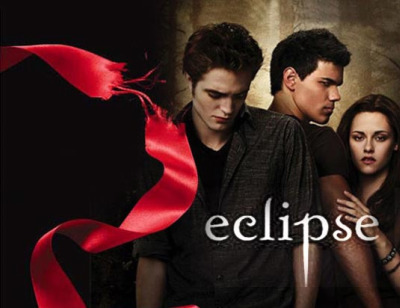 Many of the people who have watched new moon, have been pissed off by the fact that Bella seems to have this love triangle, and do not consider her a heroine. furthermore, the series represent an evolution of the character, and we can not judge until the whole series unfolds. Thanks for sharing your thoughts, it seems like you love novels, and it appears that you're quite knowledgeable in this field. Yet, the amplitude of Twilight's effect is larger on teenagers, considering its popularity in this age segment. Again, the aftermath of movies on people worries me. (It just so happens that I just watched the Eclipse). When I first saw Twilight's trailor, I didn't think I would like it as much as I do now. I didn't understand the fuss behind it. I'm not OBSESSED about them but those are some good movies. I've also heard from my Twilight-obsessed friends that the books are breathtaking. I think forbidden love is what makes people fascinated by the franchise. Most of us can relate to this "forbidden love" situation. And that's what Bella has with Edward. its interesting blog, thanks for sharing the information and the thoughts.but i dont think that twilight is harmful to teens.